Sneakers aren’t just for the court any more. 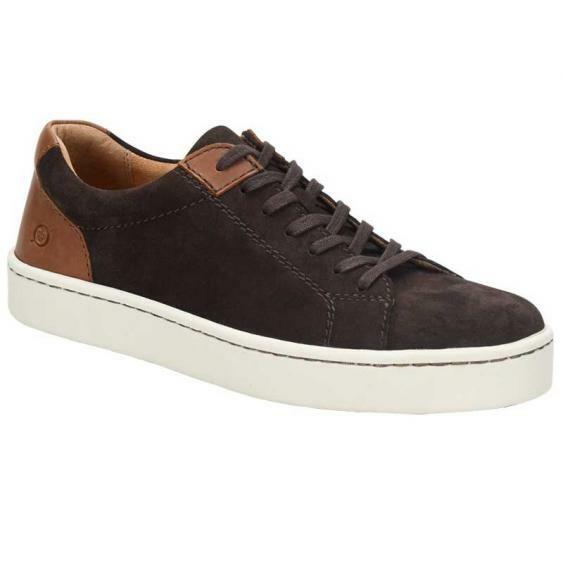 The Born Jib sneaker is perfect for a day at the office. It features a supple, full-grain leather upper with a contrasting heel for a rich and sophisticated look. The microfiber lining helps control moisture for an optimal foot environment, while the handsewn Opanka construction ensures a comfortable and flexible fit. Born's cushioned footbed will keep you going all day and it’s removable to accommodate custom orthotics. Finished with an EVA and rubber outsole for durability and shock absorption, the Born Jib will take you through your day in style and comfort.